This Operator-Participant Contract (“Agreement”) sets forth the terms and conditions under AIR AMERICA which headquartered at 1800 SW 34th Street, Ft. Lauderdale International Airport, FL 33315 (“AA AMERICA”), in return for payment of the amount indicated as the total charter price on receipt, agrees to provide you ("Participant") with charter air transportation via AIR AMERICA . Responsibility: AIR AMERICA , as the principal, is responsible to Participant for arranging and providing all of the services and accommodations offered in connection with this charter flight. Neither AIR AMERICA nor its agents, servants, employees, or your travel agent, assumes any responsibility for any claim, cause of action, injuries, losses or damages arising from the acts or omissions of any third parties involved with your flight, quarantine, disturbances, government restrictions or regulations, damage, delay of baggage or other property (except as specifically set forth below), inconvenience, loss of enjoyment, loss of pay, disappointment, mechanical breakdown, government actions, strike, lockouts, war, terrorism, weather, acts of God, force majeure or other factors or causes beyond our control. Reservations and Payment: Charter reservations may be made by calling reservations at 1 754 224 3042 . For bookings made by calling 1 754 224 3042 or via the Internet, cash and credit card payments are accepted and are processed automatically. Cash purchases may be made at the airport. Full payment is due at the time of booking your flight(s), however, Participants have the right to receive a copy of this Agreement prior to making payment. 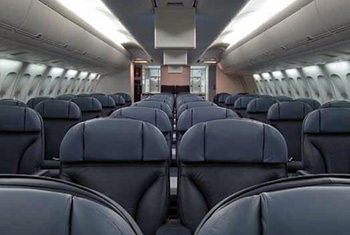 If payment is made by credit card, Participants waive any charge back rights associated with claims resulting from factors that are not under the control or not the responsibility of AIR AMERICA ; however, Participants may cancel and receive a credit for future travel on any AIR AMERICA charter services after payment of a non-negotiable $50 administrative fee per segment. AIR AMERICA retains the right to accept or decline any person as a member of the Charter or to change or withdraw a Charter if necessary. Charter Price: The quoted charter price includes charter air transportation for the Charter Flight booked with AIR AMERICA Reservation Department or via the Internet. Included in the per-passenger charter prices are: Passenger Facility Charges (PFC) of up to $4.50 USDA Agriculture charges of $5.50 per passenger, US Customs Inspection fee of $5.50 per passenger, US Arrivals & Departure Taxes of $32.20 per round-trip, US Immigration Inspection fee of $7.00 per passenger and. The Passenger is responsible for all incidental expenses during the Charter Flight. Infants under two (2) years of age may occupy the same seat as a fare-paying passenger at no additional charge. AIR AMERICA accepts one infant per paying passenger on each Charter Flight. Infant taxes are applicable and collected. Except for major changes as described below, no refund will be made for services included in the Charter Flight price when not used. Excess baggage, unaccompanied minor fees, and change fees are not included in the Charter Flight price. Please contact AIR AMERICA for these charges and to arrange such services. Insurance: AIR AMERICA recommends trip cancellation, health, and accident insurance. This important, low-cost protection can save you money if you are forced to cancel or alter your trip. Baggage: AIR AMERICA will accept for transportation as baggage such personal property as necessary for the wear, use, comfort or convenience of the passenger for the anticipated duration of the trip. For each ticketed passenger AIR AMERICA will transport for free a maximum of two bags (one checked bag and one carry-on. AIR AMERICA allows each passenger to check 1 normal-sized suitcase weighing no more than 50 pounds. The checked bag shall not exceed 65 inches in overall dimension (length + width + height - in inches). All baggage must have outside baggage tags for identification. The dimensions of the carry-on bag shall not exceed 45 inches (L+W+H) and 10 pounds. The carry-on bag must be capable of being stowed under a passenger seat or in an approved overhead compartment. Carry-on baggage is limited to one per passenger in addition to one personal item such as a purse, overcoat or wrap, an umbrella, a handheld camera, and a reasonable amount of reading material or an infant bag. Carry-on baggage allowances may be restricted due to lack of space. All baggage, checked or carry-on is subject to inspection including but not limited to electronic search and hand search. Any excess baggage (within weight and dimension allowance) will be accessed a $2.00 per pound per piece fee, baggage over the dimension allowance will be $10.00 per piece, baggage which is overweight will be $10.00 per piece. Liability: On international flights, total liability for reasonable, provable damages for the disappearance of, damage to, or delay in delivery of a passenger's personal property in AIR AMERICA custody, including baggage, is limited to $100.00 per bag. There is NO LIABILITY for the following items: currency, eyewear, photographic/electronic equipment, supplies, media and peripherals; musical instruments; ornamental items including jewelry, wigs, wig boxes, furs, antiques, artifacts, silverware, timepieces; artistic items and works of art, including paintings, prints, rugs, and statuary; cameras and related equipment and supplies; recreational items including sporting/camping goods/items/equipment; mechanical items; negotiable instruments or papers, securities; paper items including decorations, manuscripts, books, personal papers, publications, and business documents; perishable or edible items; light sensitive materials including film and x-ray plates; precious metals, samples, animals, fragile items and other similar valuable and commercial effects, and all medicines, drugs, and toiletries. 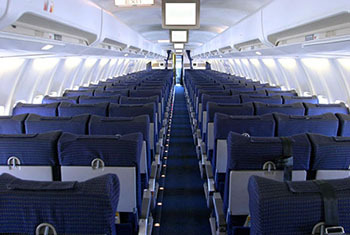 When AIR AMERICA has exercised ordinary standard of care, it shall not be liable for delay in delivery of any perishables, or for damage to or caused by fragile items, liquids or perishables which are unsuitably packed, and which are included in a passenger's checked baggage with or without AIR AMERICA knowledge. However, fragile items or perishable items without appropriate packaging may, at the sole discretion of AIR AMERICA be accepted upon the execution of a limited liability release form furnished by AIR AMERICA , releasing AIR AMERICA from liability for damage to, or loss or spoilage of contents or delay in delivery resulting in damage to, loss or spoilage of such items. AIR AMERICA will accept cloth, canvas, vinyl and other soft-sided baggage as checked baggage, but accepts no responsibility or liability for damage such as scratches, scuffs, dents, stains, or cuts that result from normal wear and tear. There is no liability for damage to or loss of protruding baggage parts (such as wheels, straps, pockets, pull handles, hanger hooks) or other items attached to baggage, oversized, overweight, over packed and/or previously damaged bags. AIR AMERICA assumes responsibility only for those claims arising from the transportation of baggage over its own routes aboard its own aircraft. AIR AMERICA assumes no responsibility for property damage or loss resulting from passenger security screening or loss incurred in passenger waiting rooms or concourses or for property not checked into AIR AMERICA custody. All claims are subject to proof of value, loss and are subject to depreciation. Any baggage problems must be reported as soon as possible, and in the case of lost, stolen or delayed baggage, THIS MUST BE REPORTED TO AN AIR AMERICA TRAVEL REPRESENTATIVE PRIOR TO LEAVING THE AIRPORT TERMINAL, and no action shall commence or be maintained against AIR AMERICA unless there is full compliance with these requirements. Airport Check-in: All passengers must check-in at the airport ticket counter 2 hours PRIOR to the scheduled departure time for Caribbean flights and 3 Hours PRIOR for Transatlantic flights. AIR AMERICA reserves the right to re-sell any seats 30 minutes prior to departure if Participants have not yet checked in. Any passenger who fails to check in on time will not receive any refund for missed flights or connections. Air Transportation: Participant is flying on a flight operated as a Public Charter. AIR AMERICA is the charter consultant and the direct air carrier will be a certified 121operator. Boeing 737-400 aircraft will be used to operate flights. AIR AMERICA reserves the right to substitute scheduled air service when necessary at no additional cost and at comparable departure times based on participation in the charter program. Participants will be notified of any such decision no less than 10 days prior to departure, and may either accept the scheduled service or request a full refund within 7 days of notification. AIR AMERICA reserves the right to substitute another air carrier or to change the aircraft type or capacity and does not guarantee single plane or nonstop service. No refund or compensation will be given for such substitutions or changes. Security Agreement: Your payments are protected by a surety bond. Unless you file a claim with AIR AMERICA , or if AIR AMERICA is not available, with the Securer within 60 days of the completion of your flight or, in the case of cancellation, the intended date of your scheduled return flight, the Securer will be released from all liability to you. Cancellation and Refund: Your right to refund if you change your travel plans is limited - if you cancel your reservation (except as set forth below), there will be no refund of the Charter Price. [If you cancel your flight, for sales made by credit card, you have a right to a full refund until the Operator-Participant Contract is signed. If you cancel your flight, you will receive a full refund, less a $50 administrative fee, upon providing a substitute participant to AIR AMERICA or upon being substituted for by a participant found by AIR AMERICA. All refunds involving substitute passengers will be made within 14 days after the cancellation or substitution. If AIR AMERICA makes a Major Change prior to departure, you have the right to cancel and receive a full refund. The following are Major Changes: (1) a change in the departure or return date, unless the change results from a flight delay experienced by AIR AMERICA . (If, however, the delay is more than 48 hours, it will be considered a Major Change); (2) a change in the origin or destination city, unless the change affects only the order in which the cities named in a tour package are visited; (3) a Charter Price increase of more than 10 percent occurring 10 or more days before departure. In no event may AIR AMERICA change your Charter Price less than 10 day prior to departure (with the exception of fees relating to any special services such as excess baggage charges, pet fees, or unaccompanied minor fees). If a Major change must be made in the flight, AIR AMERICA will notify you [in writing] within 7 days after first learning of the change, but in any event at least 10 days prior to your scheduled departure. If, less than 10 days before your scheduled departure AIR AMERICA becomes aware that a major change must be made, we will notify you as soon as possible. Within 7 days after receiving notification of a major change, but in no event after your scheduled departure, you may cancel your charter and you will receive a full refund within 14 days after canceling. If a major change occurs after departure of the flight that you are unwilling to accept, AIR AMERICA will refund within 14 days after your scheduled return date that portion of your payment that applies to the services not accepted. If AIR AMERICA must cancel the flight we will notify you within 7 days of the cancellation, but in no event no later than 10 days before the scheduled departure date. AIR AMERICA has no right to cancel a flight less than 10 days before departure except for circumstances that make it physically impossible to perform the flight. If that occurs, AIR AMERICA will notify you as soon as possible but not later than the scheduled departure date. If the flight is cancelled, AIR AMERICA will make a full refund to you within 14 days of cancellation. General: AIR AMERICA is not liable for any incidental or consequential damages. The rights and remedies made available under this contract are in addition to any of the rights and remedies made available under applicable laws. AIR AMERICA offers refunds under this contract with the express understanding that the receipt of the refund or alternative travel arrangements by a Participant waives any and all additional remedies. By executing this agreement Participant specifically acknowledges and consents to the conditions set forth herein. This agreement may be amended only in writing and signed by AIR AMERICA and the Participant(s). Any oral representations or modifications shall be with no force or effect. Except for baggage claims, any claim against AIR AMERICA must be presented in writing within 30 days of the date of your flight, and Participant agrees that AIR AMERICA is expressly not liable for any claim presented after said 30-day period. Customer Service: AIR AMERICA is committed to quality service. In the unlikely event that you have cause for dissatisfaction during your flight, please feel free to call 1 754 224 3042 to discuss the problem with a Customer Representative. If you believe you still have a valid complaint, you must send a written account of your complaint within 30 days of your flight. No consideration will be given unless your written communication has been received by the AIR AMERICA within that time.